Given its sluggish pace, depressive tone, and dramatization of the origin of Paid Time Off for postwar UK laborers, whom exactly was the intended audience for this movie? Kids with premature midlife crises and uncommonly long attention spans? Adults with low vocabularies and an acceptance of brain-bending metaphysics? 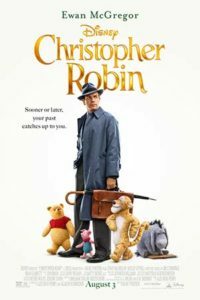 Think about it too hard, and it’s the stuff of nightmares as Christopher Robin’s acid-flashbacks to his childhood fantasias come to life, not just for him but for the entire world. There are no better models for the all-ages family film than Paddington and Paddington 2, full stop. It is possible to illuminate kids about immigration and judicial reform AND yet still indulge in tasty pastries and runaway trains.